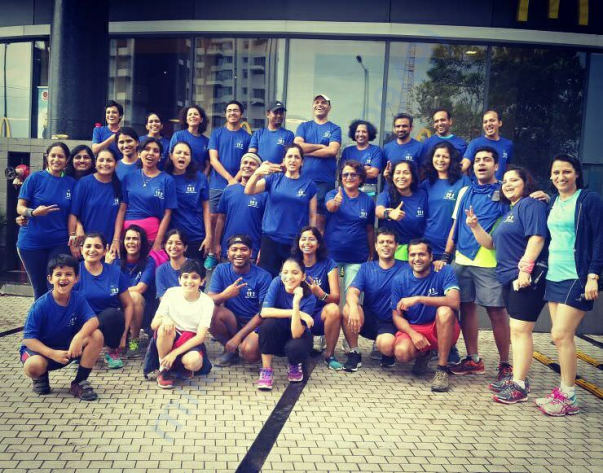 Donate to make India a fitness-oriented nation. Doesn't matter if you have a beach body or not, but the challenge is to get fitter than you were before. 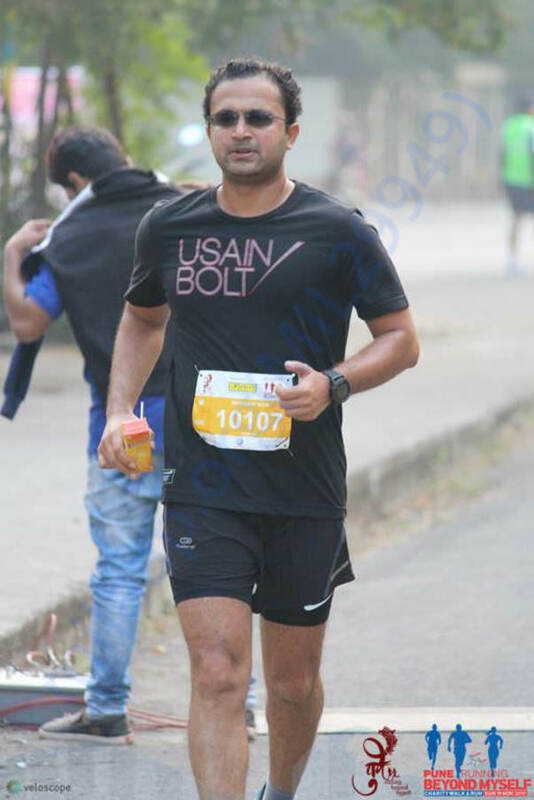 It is the vision of my friend Hemanth Rao and of mine, who are both IT professionals and avid marathoners, who feels that anybody is capable of achieving a super-fit body. What is missing is the right motivation. 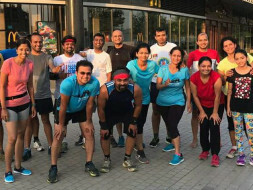 With month on month challenges until June 2018, close to 100 participants from Pune and Bangalore are competing including people of all ages and gender. A huge turnout of women is an integral part of this challenge. We are looking to provide a fitness goal to each participant of this challenge such that they are able to BMW (break mental walls) and InsFire themselves to new levels. Along the way, we will be providing mentoring, support and rewards for being consistent and the best. Lets rally behind each challenger, whether they are an athlete, a housewife, a student, a professional, a father, a mother or a grandparent. Your funds will be best used to reward the competitors of this 5-month long fitness challenge. Please contribute to support the cause of a fitter India, one challenger at a time. Are you ready to BMW (break mental walls) with us? 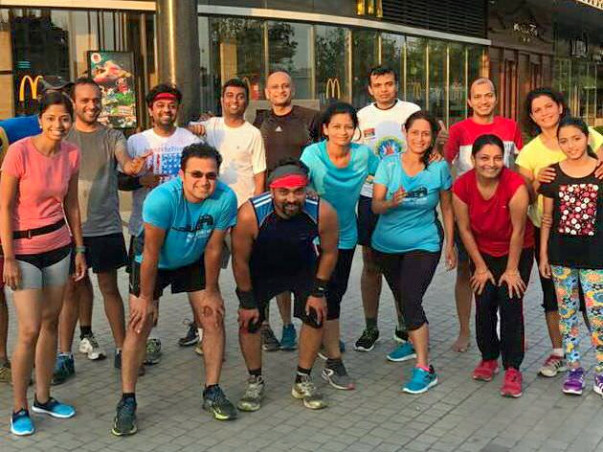 Pune Running Group Members - many of whom are part of this challenge. Thank you for your valuable support. The second month of 🌊🅱EACH 🅱🅾DY Challenge was dedicated to a full body cardio workout Burpees. We kept incrementing the numbers throughout the month and the winners finally broke through all expectations. This month 2 ladies rocked the challenge with their consistent record numbers and won the challenge neck to neck. How could we choose the best out of them? We are not so stone-hearted. Both did it with just one 24sec break in between. This month we decided not to announce one male and one female winner but instead two best performers. And... these 2 ladies set the bar too high for anyone to beat! What do they win? They win Amazon vouchers $$$ worth 1500 each. This month had a women's day. Not surprisingly that has turned into a women's month. 💃All of us are extremely proud of them and all the participants who pushed their limits. Now, Get ready for another month of a sweaty😅 challenge... This time it will be a fun(conditions apply) game 👾 with a partner👯‍ 👯‍ involved 😉😉😉😉 Not the kind you think..😃😃. What is it? Keep guessing during this short well-deserved break. Thank you for the support that you have shown towards the campaign so far. We are about to reach the end of our first month of the challenge. This month we chose "planks challenge" and so far about 40 out of 98 participants have been consistently posting their progress. One best male and one best female winner will be chosen out of the group. This will be based on the maximum plank hold time achieved. Please share this campaign further with your friends and family.